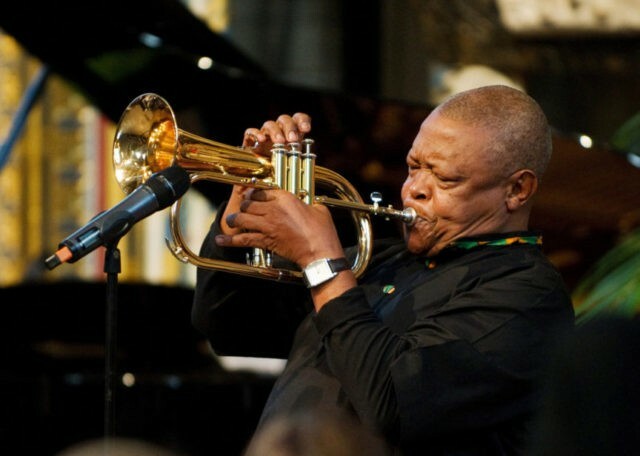 JOHANNESBURG (AP) — Legendary South African jazz musician Hugh Masekela has died at the age of 78 after a decade-long fight with cancer, according to a statement from his family on Tuesday. Trumpeter, singer and composer Masekela, affectionately known locally as “Bra Hugh,” starting playing the horn at 14 and quickly became an integral part of the 1950s jazz scene in Johannesburg as a member of the Jazz Epistles. Many of his compositions were about the struggle for majority rule and full democratic rights in South Africa. Masekela’s catchy composition “Bring Him Back Home” calling for Nelson Mandela to be released from prison became an international anthem for the anti-apartheid movement. “Hugh’s global and activist contribution to and participation in the areas of music, theatre, and the arts in general is contained in the minds and memory of millions across six continents,” the family statement read. In October last year, Masekela issued a statement that he had been fighting prostate cancer since 2008 and would have to cancel his professional commitments to focus on his health. He said he started treatment after doctors found a “small ‘speck'” on his bladder, and had surgery in March 2016 after the cancer spread. “I’m in a good space, as I battle this stealthy disease, and I urge all men to have regular tests to check your own condition,” the statement said, asking the media for privacy. Condolences from fans poured out on social media on Tuesday paying tribute to the influential musician’s career.